An Organic alternative for parasite control in poultry. 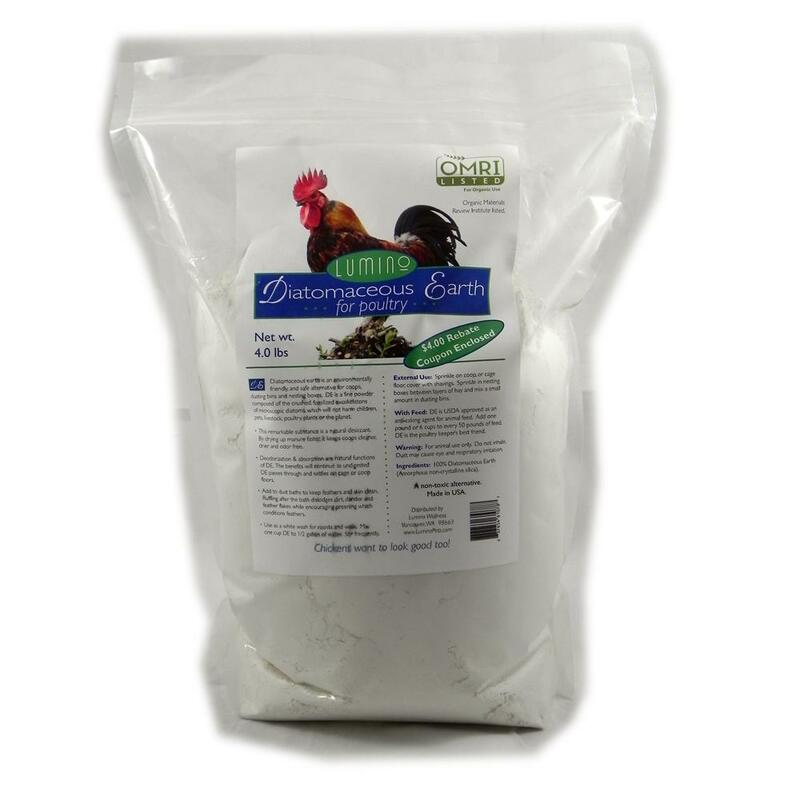 Diatomaceous earth is a naturally occurring fine powder composed of crushed fossils. It contains 15 trace minerals including calcium, potassium, copper, zinc, iron, phosphorous and selenium. A safe and effective treatment for internal and external parasites. EPA approved as a food additive. With Feed: In feed or seed add one pound or 6 cups of earth to 50 pounds of feed. 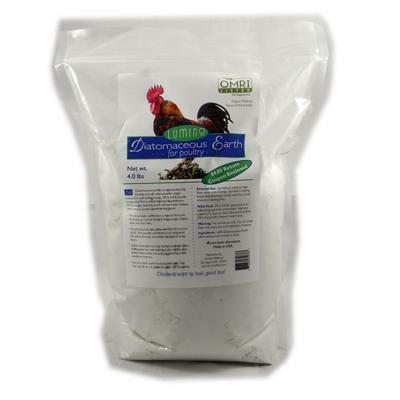 External Use: Sprinkle lightly around bottom of aviary, cage, nest box, or coop. Can also be lightly dusted beneath wings, between feathers and around vents. Use in dust baths. Sprinkle around feed storage areas to discourage and kill insects.